Namakwa District Municipality | - The biggest District Municipality geographically in South Africa. NAMAKWA combines the unspoilt expanses of Namaqualand and Hantam Karoo to form a region of exquisite natural beauty and contrast. 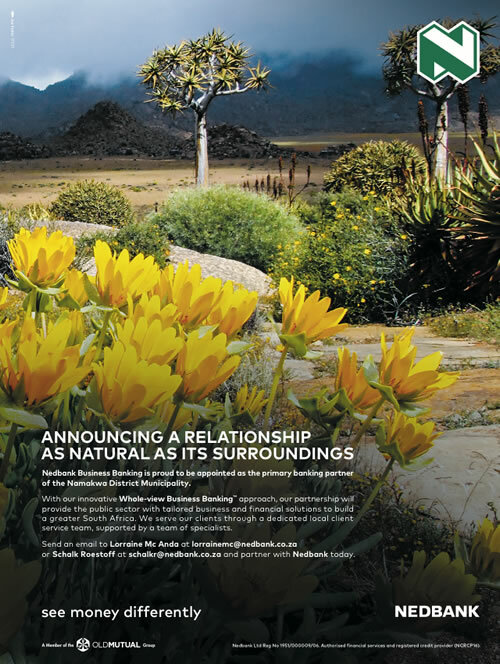 NAMAKWA combines the unspoilt expanses of Namaqualand & Hantam Karoo to form a region of exquisite natural beauty & contrast. This is a land where ancient history, modern technology and the universe join in harmonious concord.